Hello again! 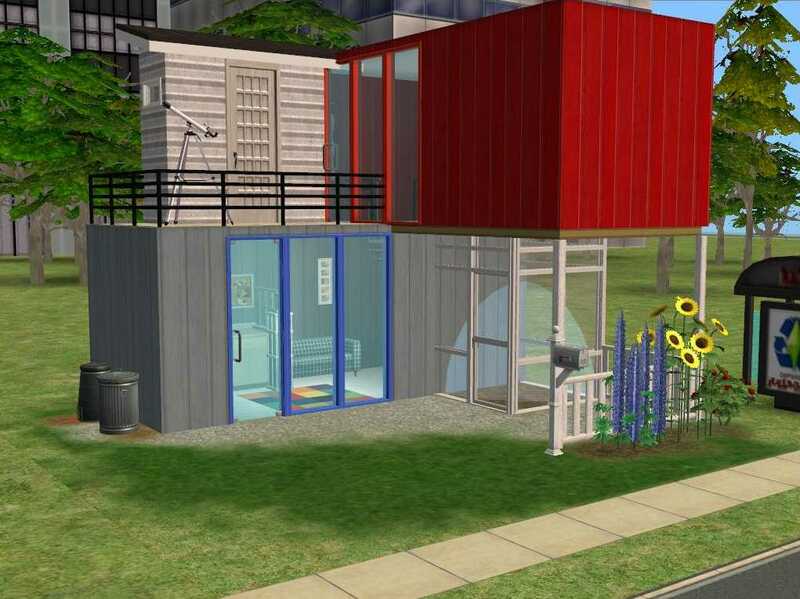 Another small lot for you today, this time in the form of a 1x1 lot, based off of home I have seen built from shipping containers. 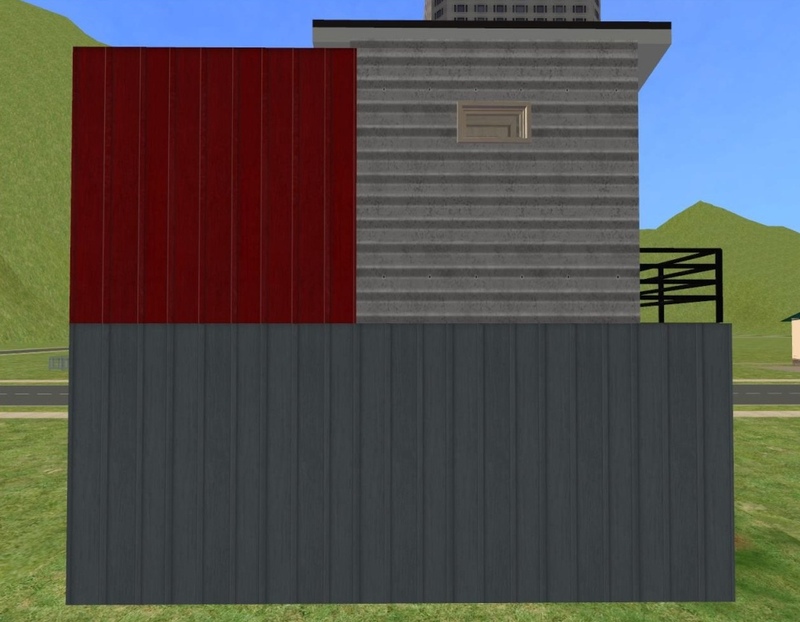 The name of this lot comes from the smallest bit of frustration I have been having whilst trying to upload this to another well-known simming website - sometimes, a wall is just a wall. 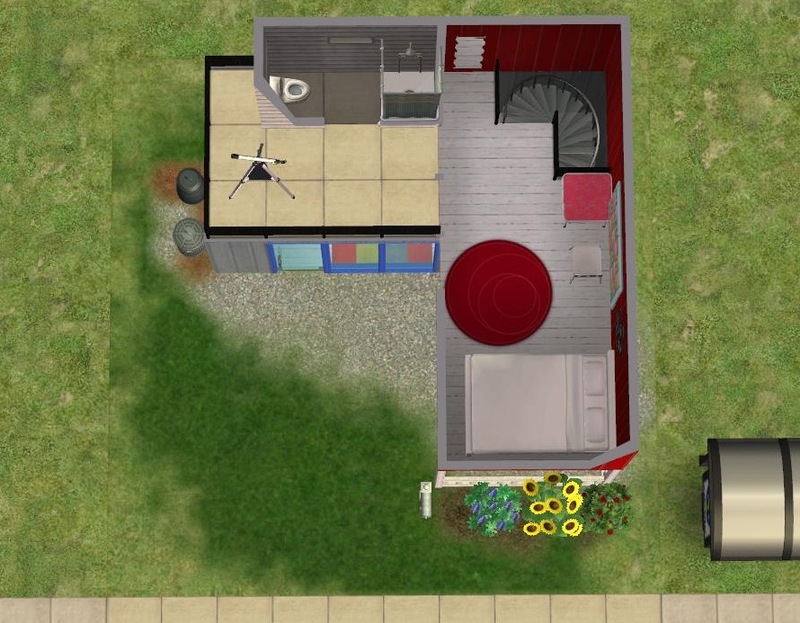 PLEASE NOTE - This house also requires Kitchen and Bathroom Stuff, which wasn't an option on the drop-down at time of upload. 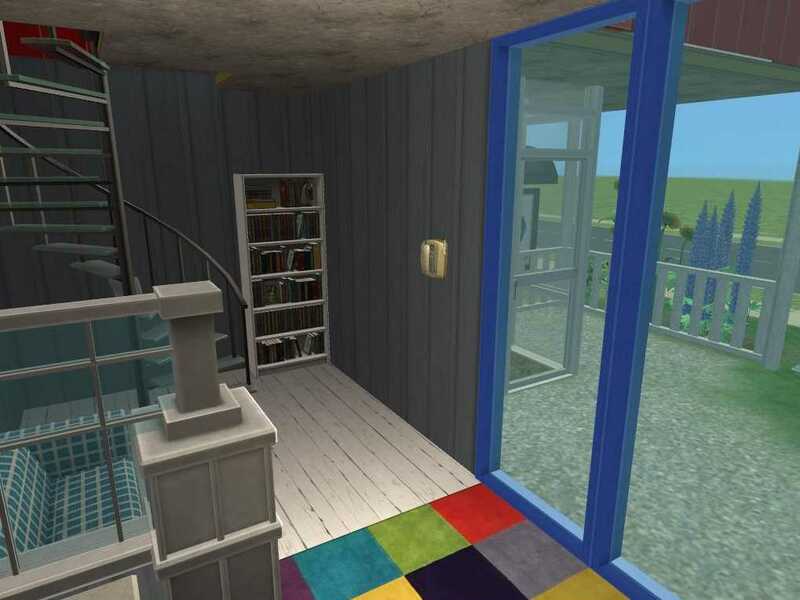 This lot is designed to have pretty much everything a sim needs to productively skill and move up the career ladder fast, with a bookcase, a telescope and a mirror for the skills they impart, plenty of space for skipping/yoga on the front lawn, and a space for the inevitable free computer from Mr Humble to build creativity. 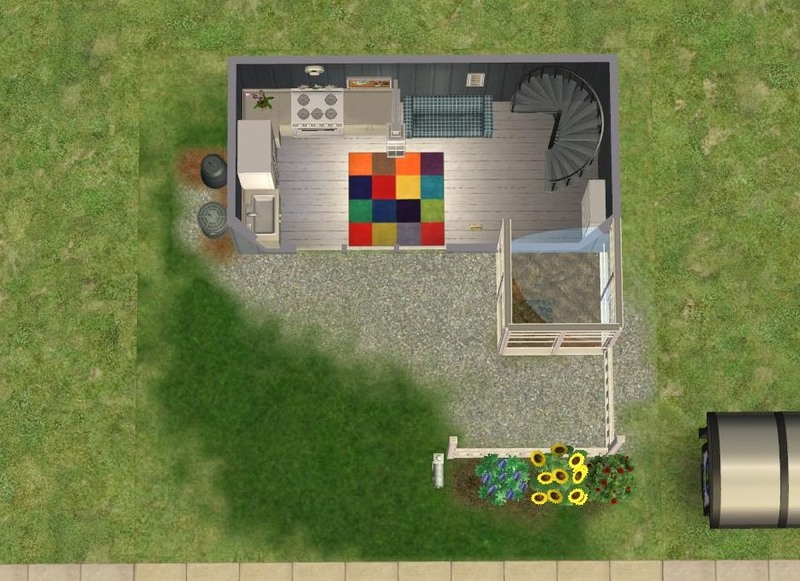 The lot has a tiny greenhouse with 3 gardening patches and sprinkler for your green-fingered sims, and a compost bin for those who aren't so gardening-inclined. I did remember to add a fire alarm after a rather disastrous fire when playtesting, and there's a phone for all your sim's pizza needs. 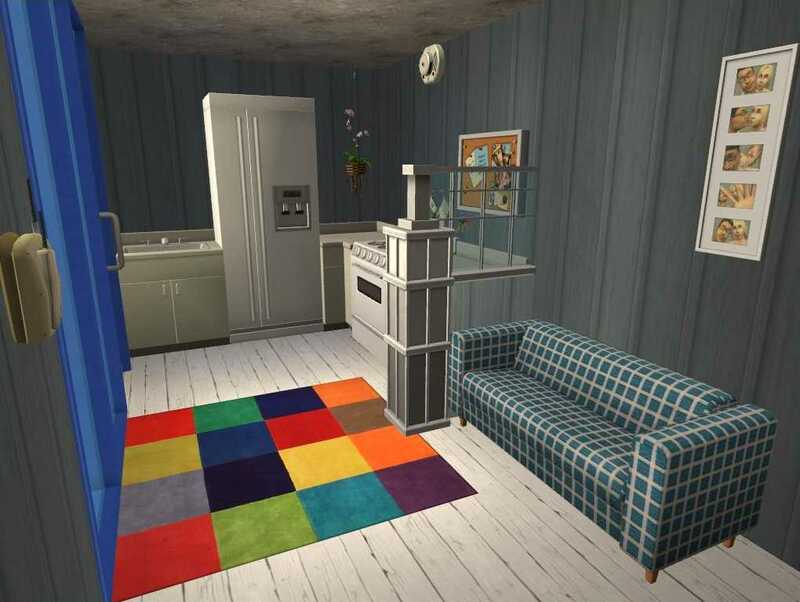 The upper floor of the lot has a double bed pushed up against the wall - fine for a single sim as I've been playing the game, but if you're planning on having a couple in this lot I suggest getting hold of the Use Inaccessible Beds hack from Simlogical. 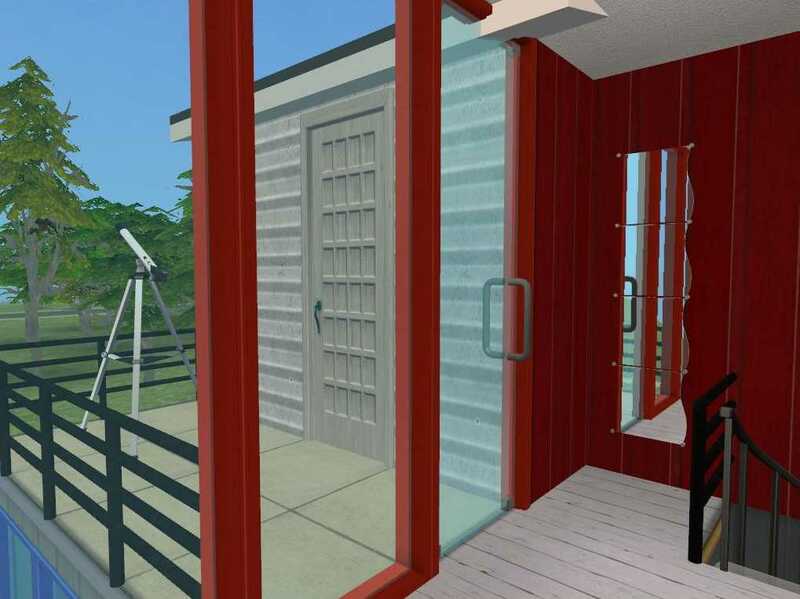 There is also a small bathroom with loo and shower on the upper floor, not huge but it does the job. Such a cute little house. Thanks for sharing, Loaf. I agree sometimes a wall is just a wall, I've never seen shipping containers with bay windows or verandahs, unfortunately some people want everything fancy and prettied up...maybe some graffiti wall masks would work. I think it is a clever idea for starting out or down on their luck Sims. Thank you for sharing it.